Meta Description Tags are a great way for website owners to provide a vital marketing information to client search queries.Yet so many people don’t understand the importance and the impact they have and they are still widely misused. Before getting into any details let me get one point very clear: Meta Description Tags do not affect search rankings in any way, but saying that they are very important in gaining high click-through rate. In a way the best “organic ad text” you can get when people are inquiring about your product. I said “organic ad text”, so lets stop and think about this one for a second because I’d really like you to understand the power of the meta description tags. 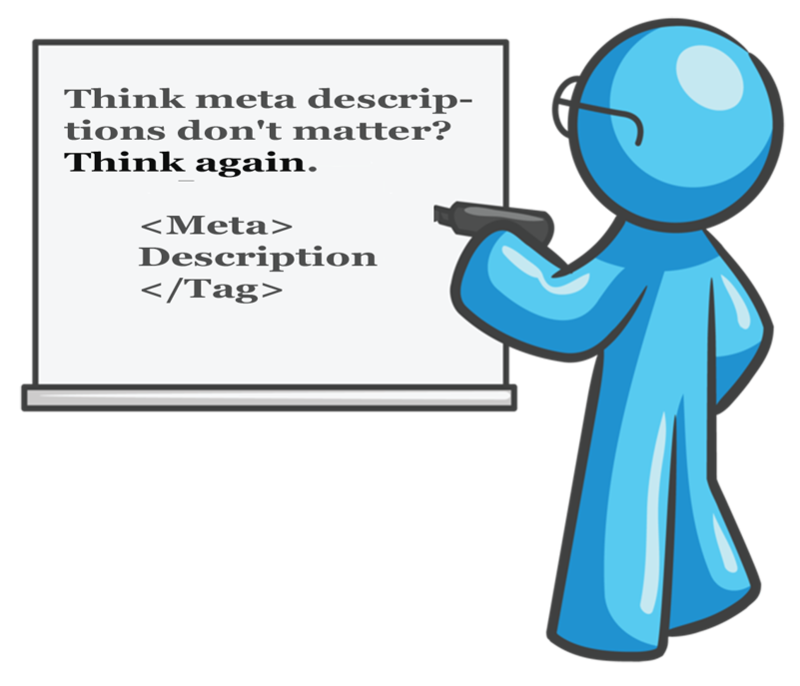 Ad – write a compelling and action-oriented meta descriptions for all your individual web pages. 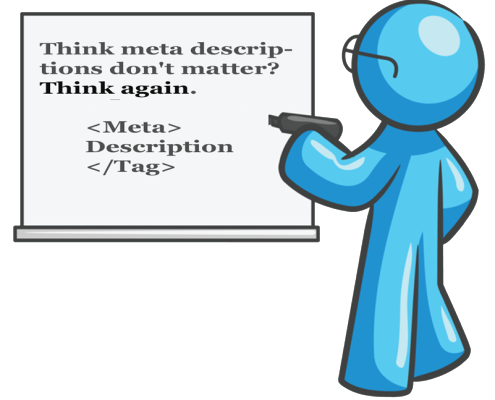 If you can’t think of anything different do not duplicate your meta tags – leave this job to the search engine. Meta description tag created by the search engine is always better than a duplicate one. To make sure that your value proposition stand out check all your closest competitors page descriptions and then write a better one! Always, and I can not stress this one more, always write for the visitors and not the search engines. Putting together lots and lots of keywords and create awkward sounding phrases won’t get you very far in the search engine results page (SERP), even if you are ranking top 5 for a given keyword. And last but not least – incorporate a call to action! Organic – By using keywords you can increase the click trough rate of a given page. How? Well keywords matching the user query will be displayed in bold by search engines, thus drawing attention to the eyes. Can not be more organic than that. People are coming to you because they see something they are looking for. But they only gonna come if they see it. By now you should be getting the big picture. A well written and planned meta description can give you a huge advantage in search engine results page (SERP), resulting in more visitors to your website and more chances to convert them into leads or new customers. Is there a case where it’s better to leave the Meta Tag Description empty? Well the logic above says that there should not be a page with empty description. But in all honestly in case of a multi-page catalogs, shopping carts or blogs with multiple entries that are targeting long tail keywords it is better to leave the search engine to create the meta description. The reason being is search engines always pull out the keywords, but also the surrounding phrases the user has searched for. When deciding whether or not you gonna leave a page without description (and those should never be your “main”pages) always consider the probability of this page being sheared on the social networks. No description in my experience means something random and inconsistent gonna be displayed, thus ruining the impression of your website. Social networking websites are very powerful tools for converting leads into customers,so you don’t really want to present your business there with random words. The recommended length for meta descriptions is 155 characters including spaces, but Google may cut it shorter if it would exceed two lines based on pixels. Interesting post here on the subject: http://www.screamingfrog.co.uk/page-title-meta-description-lengths-by-pixel-width. Although I wouldn’t worry too much about it and stick to the 155-160 characters, the wisdom here is: always to put your important keywords in the beginning rather than the end. For the very cautions its worth mentioning that for articles Google sometimes will display a date which will eat up some of your maximum characters allowance and the new limit is 139 characters including spaces. For most of you Twitters this “new” length should not be a problem I believe. When it comes to capitalization use whatever case you want, but I’m still gonna give you some tips. If Google do use your meta descriptions unlike titles it will keep the case of your characters. Naturally capitalizing important words can draw attention. Never ever use only capital letters throughout the entire text. Same can be said about lowercase letters. And last but not least: don’t capitalize every letter just because you can especially For Really Long Sentences, Because This Can Get In The Way Of Easy Readability and Quick Scanning From Searchers Who Are In A Hurry. So to put everything together. Meta Description Tag gives you a lot of control of what people see before they arrive to your page. The truth is they will not arrive there at all if your don’t show something compelling, unique and attractive. Those are statistics,not an opinion. Now go on and give your SEO and click-through rate a boost. You can thank me later.